I know many women would love to wear falsies, but don't feel comfortable applying them themselves. Don't worry! I was [and still am somewhat] in the same boat! It takes practice. I had tried numerous times in the past and gave up but I finally just decided to give it a try again. It gets easier and easier with each application. Want to try them? Check These Out: my favorite type of lashes, the best lash adhesive, AND a YouTube video on how to apply them. 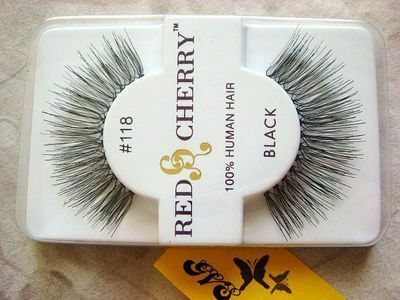 As you all can see, these are 100% Human Hair lashes. I've found that human hair lashes are softer and much more flexible. I love these lashes in particular because they are CHEAP. I have paid $14 for MAC lashes in the past. I got these for $2! They are just as good as MAC in my opinion. I choose to purchase these from E-Bay so I can buy them in Bulk, but many beauty supply stores sell them. This, fashionistas, is THE best of the best right here! 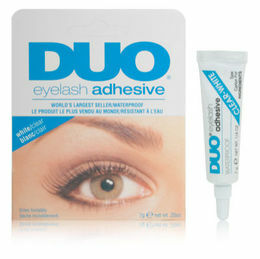 This adhesive is the ONLY eyelash adhesive sold and used by MAC. You would think that by having such a popular brand as MAC behind it that it would be expensive OR only sold at MAC. Um...NO! I bought this for $6 at my local Rite Aid. I can definitely see why this is regarded as the best. I have used this to put lashes on at 7:30 a.m. and after work and going out, my lashes were still on at 2 a.m. Please get this people!! Just a look at my fave lashes!! 3. YouTube Video - "How to Apply False Lashes"
If you have any questions, please let me know! As always, God bless!